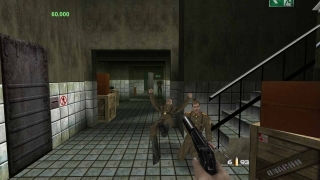 So recently I reported on a rumor that GoldenEye 007 was in the works for Xbox Live Arcade. I didn’t doubt that, but I failed to believe that it was going ahead without Nintendo’s input. Turns out I was correct. 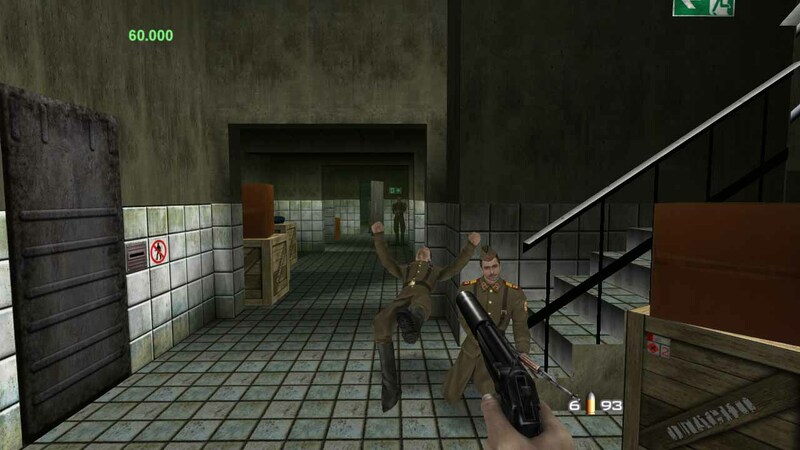 In a new post at 1up (the online edition of EGM), GoldenEye 007 was put out of commission because Nintendo and Microsoft couldn’t come to a financial deal. 1up says that the game would have featured the same graphics (though earlier rumors claimed that it would feature higher resolution textures – see picture), would have seen less playable characters due to licensing issues with certain actors, and would have had its multiplayer reworked for online Xbox Live play. All hope may not be lost as a deal could still be made, though it’s not an easy situation to solve. Nintendo wants it for their Virtual Console, Microsoft wants it for their Arcade, and both regardless of which way the wind blows wants some money out of it.